Learning Blog: Teacher Sites | To LMS or Not to LMS? 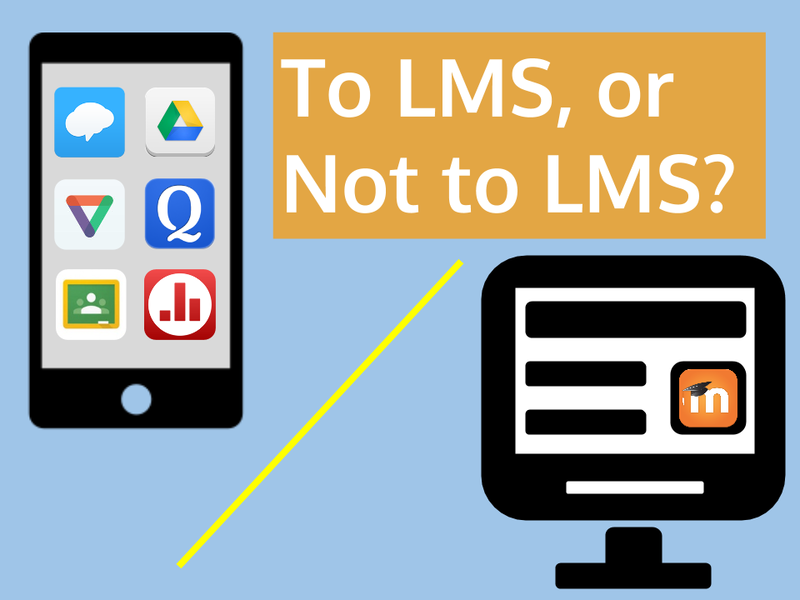 Teacher Sites | To LMS or Not to LMS? We use apps outside of school. Our students use apps outside of school. Why wouldn't we just do the same in school? I've been a fan of Google Drive since I learned about it three years ago. Since then, I've watched the idea of collaborating on one document, for some schools, become the norm. And why wouldn't it? Connecting with our students and their work as they produce it empowers them through feedback and increased audience. Isn't that always the goal? The frustration for me was in the sharing of documents with students and teaching them how to set up folders for the class. The concepts of file sharing and live files was hard for them, at first. We needed something else – something to manage the files for us. That's when I turned to Edmodo and later Moodle when I realized Edmodo wasn't hearty enough for a high school history class. It was my second year using Google Docs (which had just received the name change to Drive), and I was going all in with every class. Forms for quizzes, docs for essays, and slides for presentations. We had the tools to succeed, especially when I pushed it all through Moodle. Moodle was a great platform for managing a course our administrator was good and the version was current. The only downside was the amount of time it took to initially setup a course and the technical skill it took to learn. This turned many teachers away and prevented some from ever moving away from using Moodle simply as a place to list links to materials. Google Sites (or even Docs) would have been fine for that. Then, Google Classroom was released at the beginning of the last school year. Most of my prayers were answered. I like digital technology, but I don't want to spend too much time making it work for me and my students. Classroom was turn key and managed Drive and Gmail with students. This year, Classroom has only gotten better. 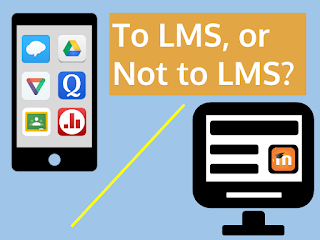 It's my choice over an LMS like Moodle for two reasons: (1) I teach face-to-face courses and Classroom can be updated with my phone as student needs are made clear, (2) Our school is GAFE, so why make it more complicated? I recently started working at a new school, in a new state. Things, for the most part, are the same. But one of things that is different is the use of Moodle. Many of the teachers have course pages. This was intimidating at first because only a few were using Classroom and teachers in my department were encouraging me to use Moodle. I humored them and had course pages created, but I couldn't follow through. I had to stick with Classroom because it works better with a variety of apps, especially Google Drive. Initially, it was hard to openly go against the recommendations of my new colleagues, but I'm glad that I didn't compromise by switching back to Moodle. Plus, their Moodle was an earlier version than I had used in the past, and it didn't have all of the tools on which I was trained. How Do We Use Classroom? Classroom is where I do lesson planning and material organization. Once I know the standards and essential questions, it's easy to add activities, homework, and instructions. The "About" tab works great for providing a link to content sites, Google Drive folders, Quizlet card deck folders, syllabus, and apps and sites we commonly use for instruction. My new favorite tool is the question. We can do a variety of discussions that are easy to set up in seconds. In fact, I've already done it a few times from my phone, which means I didn't have to go back to my computer, sit down, and type it out. That's huge when it comes to improvising and setting up technology. Once you sit behind the computer, you have five seconds before you start to lose the kids. Would I Go Back to an LMS? I would. It all depends on the version and type of course I'm teaching. Currently, I'm teaching a face-to-face classroom with lot's of potential for student activity, so my decision to stay with Google makes the most sense. Please explain, how should you compare Moodle and Classroom...? Moodle is a complete learning management system that allows courses to be designed for virtual instruction. 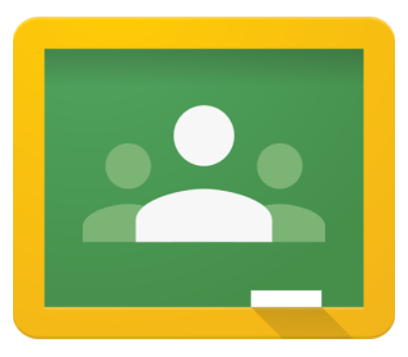 Google Classroom is an assignment management and communication system that supports face-to-face instruction.